With the demise of NASA's shuttle program, one of the best ways to get to space today is a $63 million seat on a Russian Soyuz spacecraft. 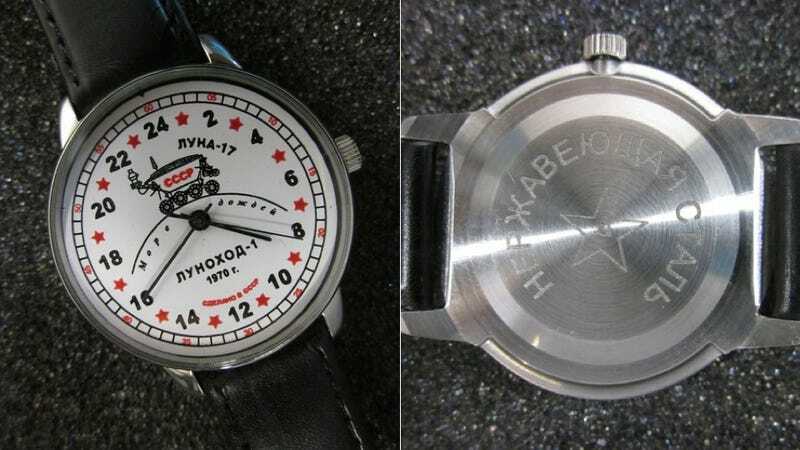 Show the Cosmonauts how happy you are to come aboard by arriving to the launchpad wearing this beautiful vintage watch, which celebrates the achievements of the Soviet space program. This fine 1979 timepiece is available at Bureau of Trade for $70. The watch is known as "Lunokhod," which means "moon walker." The Russians might be touchy about the fact that their countrymen have never successfully set foot on the lunar surface. Try to steer the conversation toward that other Moonwalker, Michael Jackson. Or, just use the watch as a stylish way to count down the seconds until you can catch a ride on SpaceX instead.